Starting a new compost site in your community. Improving and expanding an existing compost site. Building compost bins and sifters tailored to meet the needs of your site. Posting clear signs that explain what can and cannot be composted. Shredding leaves on your site to use for composting. Recruiting and managing volunteers . Need assistance or have questions? Email compost@bbg.org or call our hotline: 718‑623‑7290. 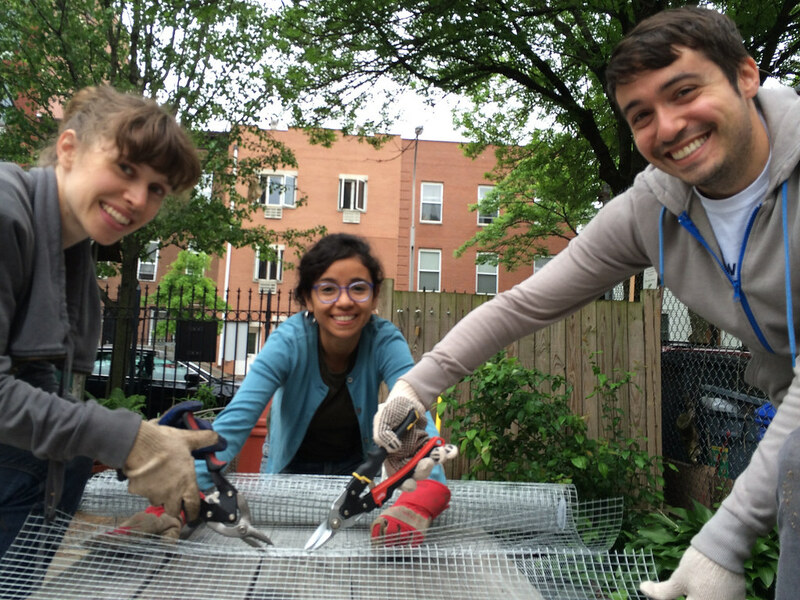 For information on joining the Community Compost Site Network, or to learn about becoming an NYC Compost Project Demonstration Site, contact compost@bbg.org. Sites that have achieved NYC Compost Project Demonstration Site status are in the vanguard of the Community Compost Network and have priority access to NYC Compost Project resources. Demonstration Sites have exemplary composting operations and effectively engage their communities in making and using finished compost. The NYC Compost Project sells at-cost compost bins and equipment suitable for urban composting! At Brooklyn Botanic Garden you can purchase Garden Gourmet compost bins ($65) and stainless steel Compost Cranks ($35). Learn how to purchase these and other kinds of equipment, including indoor worm bins (PDF).